Why I missed a week and the importance of fighting for your dreams. 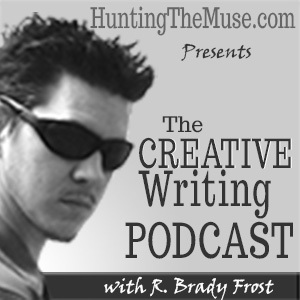 Welcome to HuntingTheMuse.com's Creative Writing Podcast. Today's podcast episode is about fighting for your dreams. Sometimes sacrifices have to be made if we're ever going to achieve the things we've spent so much time dreaming about. Do you want to be a writer? Well? Get writing! Not subscribed to the podcast? Get it now! I missed last week, but I'm back with an extra long episode today to make up for it! As I mentioned in the podcast update, I opted to press forward with my writing after encountering some resistance with unfortunate events last week. I am very happy with the progress I made and things are looking good! Still, we always have to keep pushing toward those goals. Pursuing your dreams is important. Don't just dream about what you want to accomplish. Start doing it. Time is the one resource you will never get more of. You might be able to get a promotion or take on a second job to make more money, but you will never get more time. Why do we often opt to spend time on diversions instead of doing the things we really want to do? Show notes for this episode are rather sparse. This week was full of tangents and passion about writing and dreams. What else can I say? And now, for this week's writing prompts! What you'll find below is a series of creative writing prompts to help get you through your week. There are no rules as to how you should use them, but I recommend taking your muse's hand; wherever she may lead you. Whether you find yourself writing a descriptive scene or dialogue, a poem or prose, or anything else (even if it seems entirely unrelated to the prompt), you have won. Happy writing, and may you find success in hunting your muse this week. Like Peter Pan’s shadow, you’ve noticed your own dark twin has been acting of their own accord as of late. While this makes for some interesting party tricks and a lot of laughs, it isn’t something you can control and it seems as if your shadow is learning how to interact with objects in the real world. Your friends are convinced you’re some kind of amateur magician, but the truth is: you don’t have any tricks up your sleeve and you’re just as mystified as they are. A few nights of parlor tricks go by before things begin to get even more strange. Your shadow disappears for hours at a time and when it returns it often appears exhausted, collapsing on the fabric of your favorite armchair. Rarely, it will muster the strength to tear itself off the surface of the floor and walls and sit across from you like a darkened void. Staring into the dark hollows of its eyes makes a shiver run down your spine. How is any of this even possible? Then, after a particularly long absence, your shadow returns just moments before a loud knock sounds on your apartment door. It’s the police and they have a warrant for your arrest. They are saying something about fingerprints at the scene of the crime and inform you that you have the right to remain silent. You’re a nurse and you love your job working nights at the hospital but, ever since a new doctor rolled into town a few months back, things have been getting weird. You can’t put your finger on what it is, exactly, and you’re determined to figure it out. As tensions rise, you find yourself backed into a precarious position. Someone has taken note of your snooping and now your job is on the line. You’ve always taken great pride in putting the patients first, and when you notice that some are disappearing, you know what you must do. You wait. At first it seems like the pattern has broken and everything has gone back to normal. Were you really just imagining things all along? No. Just when you were about to give up hope of ever finding another clue, you catch a glimpse of the new doctor casually rolling one of your patients, strapped to their bed, down the hallway. Knowing this might be your only chance, you follow them and uncover the horrible truth. On September 19, 1957, the United States detonated a 1.7 kiloton nuclear warhead in underground, 65 miles north of Las Vegas, Nevada. Code named Rainier, the test was a part of larger mission: Operation Plumbbob, which included some 29 nuclear explosions. However, of all the tests, this one was special. The nuclear device was placed in a small room, six by six by seven feet in dimensions, 900 feet below the surface of the mesa. Of course, most of the real details of the test were left off the reports. As a part of an independent scientific research group, your team has maneuvered to gain access to the remains of the underground chamber. Much of the information you have on the site has been pieced together from redacted reports and off-the-record commentary throughout the years. By taking advantage of certain political oversights, you manage to secure access approval. Though, as expected, you encounter significant resistance when your team arrives on-site. But your credentials check out and, after a bit of hassle, you are permitted to set up a base camp and begin operations. Fortunately, you’ve brought your own equipment, so the Test Site Coordinator’s efforts to slow down your progress doesn’t impede your operations. After two days of digging, you find the first signs of what you’ve been looking for: a previously undisclosed ancillary test chamber. Just as you’re about to breach the hardened rock shell and gain access to the secrets you’ve worked so hard to uncover, you spot a line of armed military vehicles speeding towards the dig site. You know you don’t have much time when you watch the column veer off the road, leaving clouds of dust behind them as they close the gap to your location. It’s now or never. 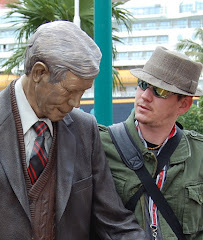 It was a chance encounter, nothing more than a blip in history to most, but somehow a connection was made. Now you can’t stop thinking about them. No matter how many times you use the your time machine, you’ve never encountered anyone quite like them. They had such beautiful eyes; a deep blue, deeper than any ocean, and no matter how far away you travel, you’re sure you’ll never forget. But why can’t you find them when you go back? Your scanner can pick up no trace of any individuals matching your search criteria. Was it nothing more than a specter, a ghostly image of a history that once was and yet may never be? Or have you encountered another like yourself, one who can travel unbound through the ages? Could there be another time traveler weaving their way through history? If so, were you destined to meet? What will come of this chance encounter and will you ever learn the secrets hidden behind those beautiful eyes? When your friend accidentally drops a prized possession into the well, you volunteer to climb down and swim to the bottom in search of it. With the sun directly overhead, you can barely see into the murky depths. Something lurks in the shadows, something unexpected and profound. What is it? Your night was filled with enchanting dreams of far off places. While you knew you were dreaming, you couldn’t help but hope it would never end. But, as with all things, the end did come. Now you find yourself staring at your ceiling while you try to piece through what was dream and what is real. Just as you’re about leave the memory behind, you find something lying next to you on the bed: an impossible souvenir from a night you’re now sure you won’t soon forget. You’ve just been informed that the data center you’ve been working at will soon close. Hundreds, if not thousands, of people in your career field will be scrambling for jobs. The market will be flooded. How can you hope to pick up the pieces after this devastating news? Instead of heading home, you decide to linger in the city and walk the darkened streets. You know you’re expected home, but when your phone rings, you can’t help but ignore it. You’ve worked so hard and feel so lost and… alone. Then you see her. She stands beneath the dim street light with her shopping cart full of mysterious objects. She beckons you over with strange promises of a brighter future. As you approach, you can’t help but notice the slight glow emanating from under her overcoat. She’s no devil or demon, she says, just a wayward fairy trying to make her way home, but granting wishes comes with a price. What bargain is this spirit of the fey trying at? What are the stakes, and what choice will you make? I hope you've enjoyed this week's episode and creative writing prompts. Please consider supporting this effort by signing up for my newsletter. Join my monthly newsletter for writers and get more helpful content, encouragement, and more!